You are here: Home / Blog / Our Team / A look back in time. A look back in time. On a recent Friday afternoon, for just a moment, an audience at Swope Health Central hit the “pause” button to think about what life was like in 1995. The reason? 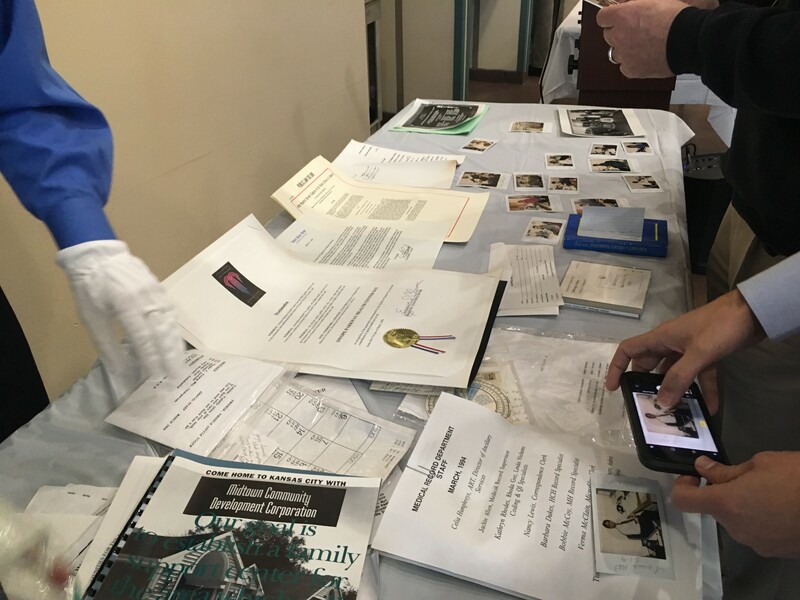 The unsealing of a time capsule placed in the wall of the building by members of the Swope Health Board of Directors and staff members that year. They offered mementos and messages for a future audience. Fast forward 25 years. 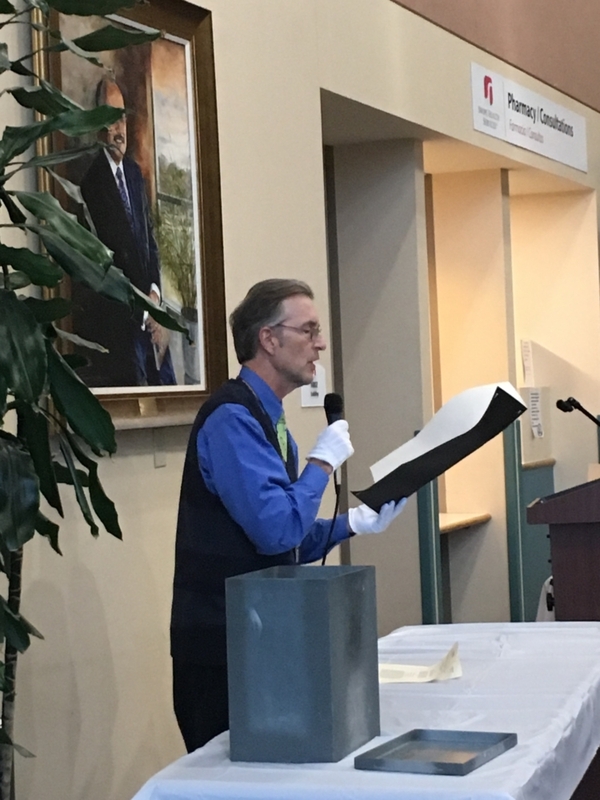 That “future audience” of current staff, board members, patients and community representatives were on hand to witness the opening of the time capsule as part of the kickoff of Swope Health’s 50th anniversary year. Dave Barber, President and CEO, kicks off the celebration of Swope Health’s 50 years of service to the Kansas City community. The event began with brief remarks from President and CEO Dave Barber. He spoke of the past, while inviting the audience to offer suggestions of items and messages to place in a new time capsule at the end of 2019. The unveiling was managed by Dan Barnett, Manager of Communications and Special Events, who wore white gloves as he opened the box and carefully handled each item. A proclamation from the Mayor of Kansas City Emmanuel Cleaver II – who today serves as a Representative in Congress. Photos of the Board of Directors. Sample medical records — on paper! Today’s medical records are electronic and available via a Patient Portal from the internet and a mobile app called Healow. 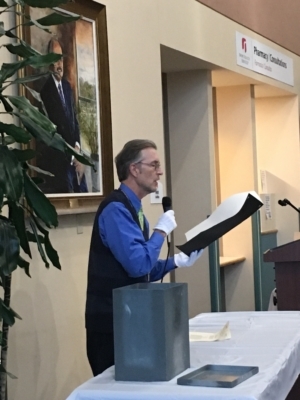 Dan Barnett, Manager, Communications and Special Events, reads from the Mayor’s Proclamation on the dedication of the Swope Health Central facility in 1995. Polaroid photos of members of the Swope Health staff. Some of the staff members are still working in the same departments! Sample eyeglasses that were the height of fashion in 1995. A listing of codes used for the diseases known in 1995. The listing for today is much larger, a reflection of the advances in medical knowledge. Calendars, memos, guidebooks, pamphlets and other documents, preserved as printed materials, faxes, slides and on discs (CD-ROM). The mementos will be organized into a traveling display that will be showcased at each of Swope Health’s locations before year-end. The Time Capsule Opening Ceremony was the first of a series of events Swope Health will use to celebrate 50 years of service in the community. Other events are scheduled throughout the year, including a community birthday party, a gala celebration, and a year-end event to seal a new time capsule. Staff, members from the board of directors, patients and community partners gathered for the time capsule’s unsealing. 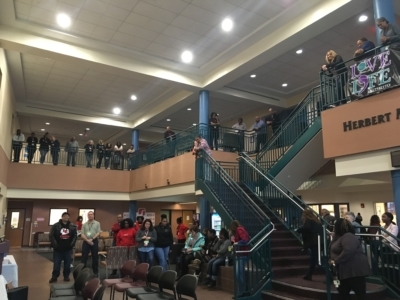 Participants were treated to a hot chocolate bar and cookies as part of the celebration. 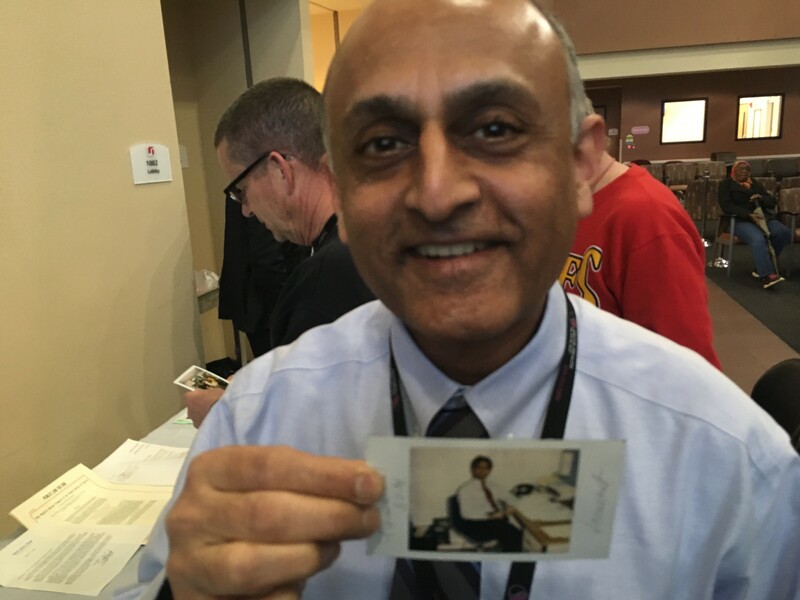 Naimish Patel, Chief Financial Officer, holds a Polariod picture of an earlier version of himself in the Finance Department at Swope Health. The variety of items unearthed in the time capsule. 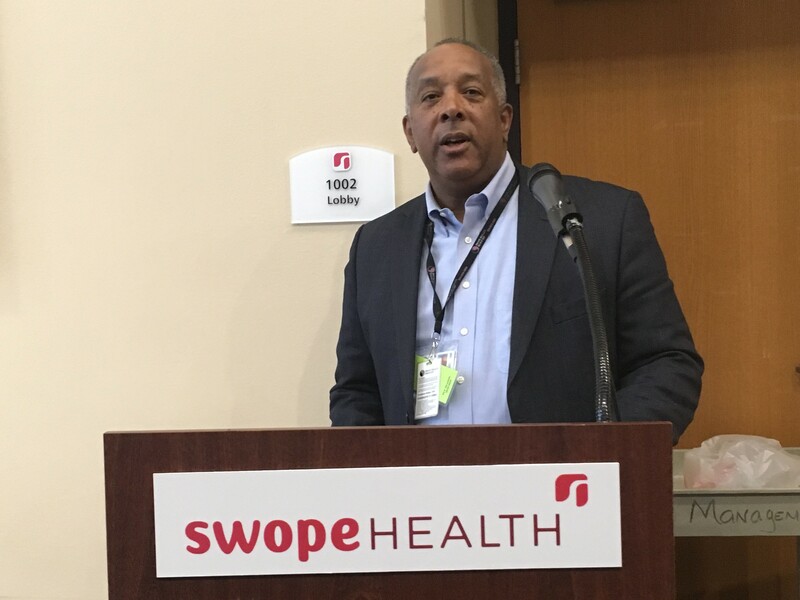 https://www.swopehealth.org/wp-content/uploads/2019/01/assembly-e1548203606339.jpg 750 1000 Swope Health http://www.swopehealth.org/wp-content/uploads/2018/11/swope-logo-rev-750.png Swope Health2019-01-22 18:41:312019-01-22 18:45:31A look back in time.